Nowadays, as important as the anti trespassing systems to avoid any burglaries, are those systems that prevent a fire danger situation that could cause an accident on its property affecting as many material elements in your property as well as elements from adjacent properties; or even to risk people’s life. The ideal of these systems is to prevent the fire before the flames start. For that reason, LIP Seguridad works with first quality components which are internationally recognised to offer the highest security in the protection of your home. 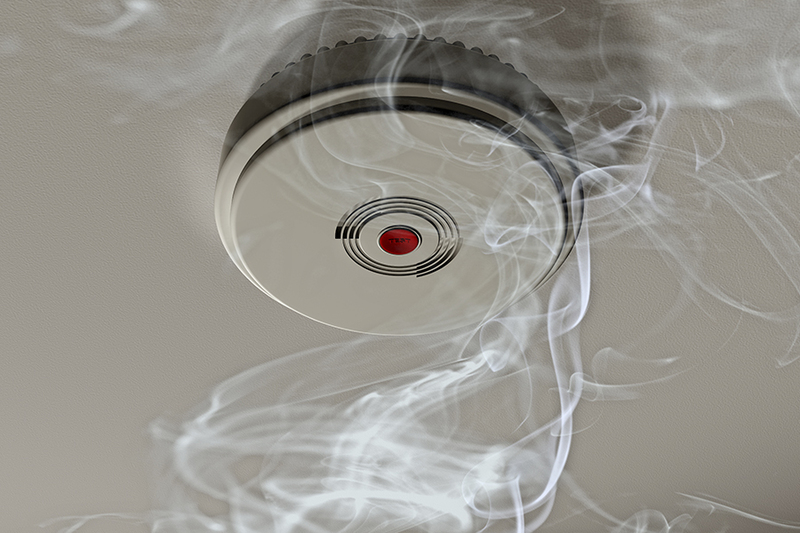 The detectors are the most important elements in a Fires Prevention System, as they are the ones that detect any sign that could provoke a risk situation. The different types of smoke and fire detectors (optical, thermal, hybrids, ionic, flame detectors, infra reds barriers, etc) are selected depending on the area to be supervised and the main materials this one has (wood, paper, chemicals, etc). All this is with the purpose to adjust the system as much as possible to the specific preventive needs. As well as in the anti trespassing system, the main switch board is the one that supplies the power to the rest of the facility’s component, controls the signing elements and transmit an emergency situation. On the other hand, the remote controls allow the client to interact with the system verifying the status, to connect and disconnect it, and to send panic signals in case of danger. The signing elements, in internal and external acoustic sirens with or without light (flash), become important in the Fire Prevention Service as it has the vital and specific aim of informing of an emergency situation of the people who are in the property for them to leave it and avoid any possible risks. The transmission system the signal registered by the detectors to the main switch board to act consequently. However, the most important part on this fire prevention systems is to sign the incident in situ so that the people in danger can be advised and leave the facility on time.